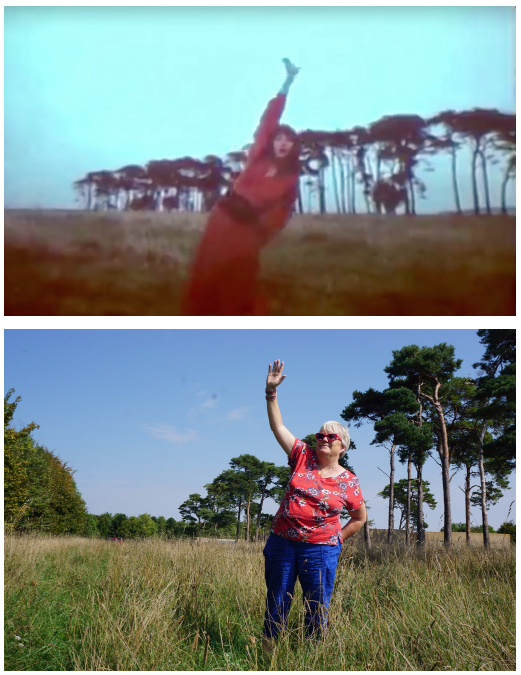 Exact location of 1978 “red dress” Wuthering Heights video revealed! 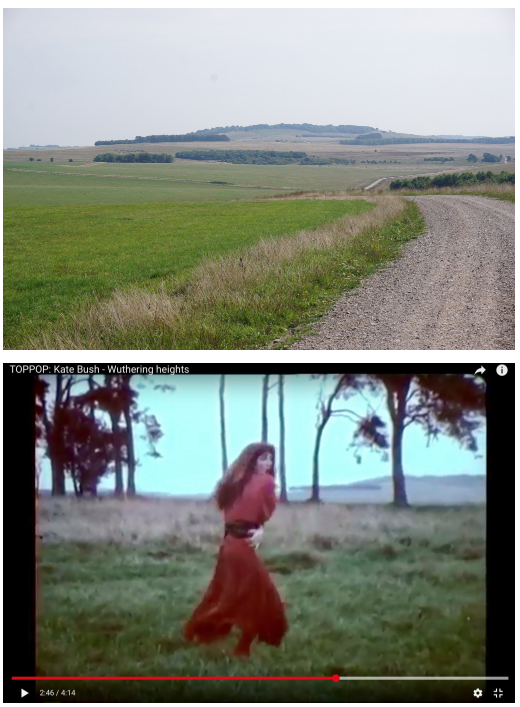 Some ingenious fans on our site forum have meticulously researched, using mapping software and guesswork, the exact location of Kate’s 1978 red dress video for Wuthering Heights! While the studio “white dress” version of the promotional video is more widely known, the red dress video has now become iconic AND the go-to template for choreographed re-enactments of Kate’s dance moves ever since – as seen in “Most Wuthering Heights Day Ever” reports on this site! Initially thought to have been filmed in Surrey, or even Germany or Holland, the breakthrough came when a fan contacted the director of the clip, Nick Abson, who revealed: “It was the artillery range at Salisbury Plain. We couldn’t do better as we only had the morning due to filming “If it Ain’t Stiff it Ain’t Worth a F***.”, referring to an Elvis Costello video he was also shooting. 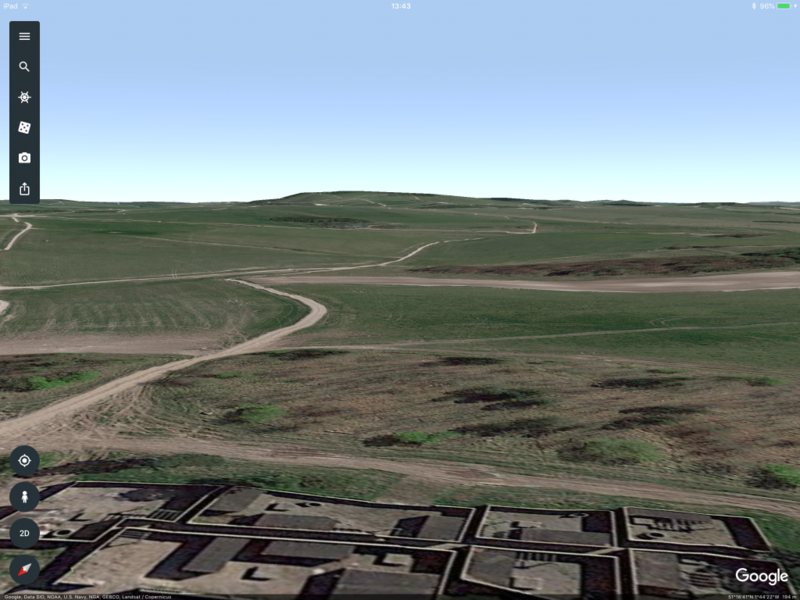 Comparisons using Google Earth software convincingly confirmed a location which matched the hill seen in the distance behind Kate. 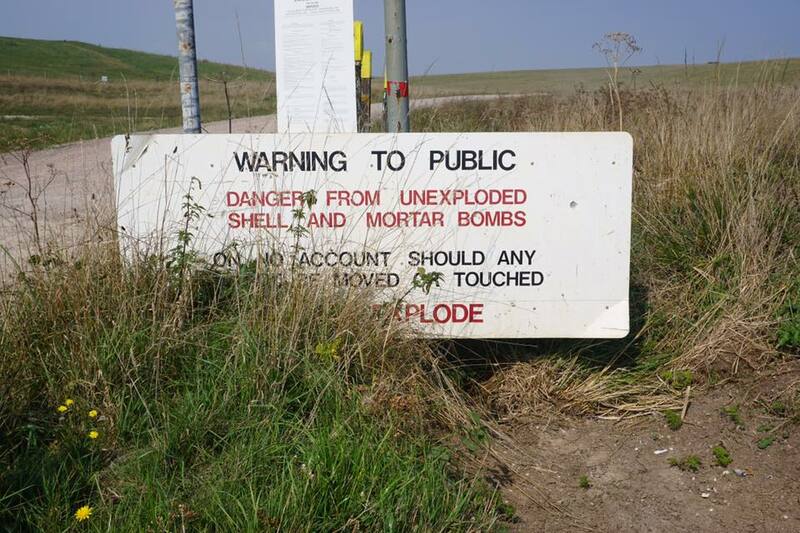 Update & Warning: This location is on UK Ministry of Defence (MOD) lands, and despite being by a public road, there are signs in the area for the public to avoid touching anything (military debris) they see on the ground. See this page here, and watch this safety video. If in any doubt, contact the MOD for advice. To prove it once and for all, two fans headed out to the area this week to get photographic proof! This entry was posted in Kate Bush news, Videos. Bookmark the permalink. 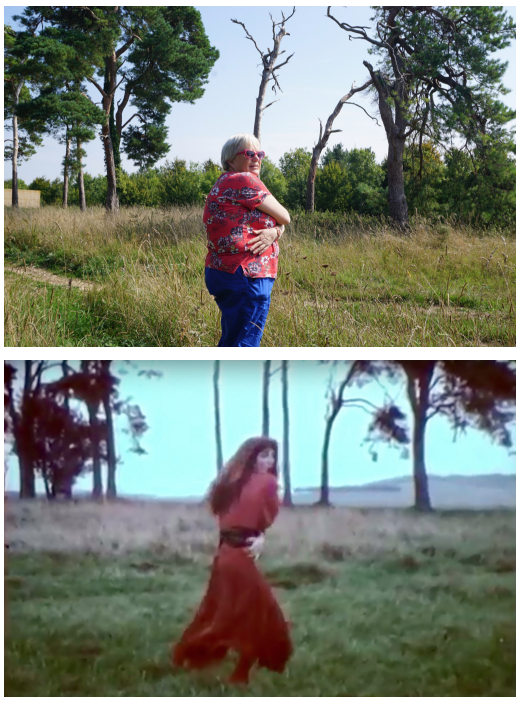 4 Responses to Exact location of 1978 “red dress” Wuthering Heights video revealed! I always thought it was by the Baltic sea in Poland. This is amazing work! Is the exact date of the filming known? According to the cameraman of the video (my dad), it was filmed the morning of 26th October, 1977, as they were on their way to film Elvis Costello and Ian Dury in Cardiff (If it ain’t Stiff gig) that night. They travelled down the night before with Kate and overnighted in Salisbury. Just sitting here with him watching all the red dress dance re-enactments having a laugh. He finds it rather amusing that a video they made in a field on the way to Cardiff 40 years ago has become so popular. That’s a great image, you both watching all those red dresses, over 40 years later! We just hope no-one gets into any explosive dance moves what with it being a military training area and all! Thanks for the comment!